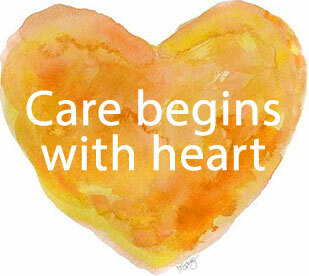 Nellie’s Heart Caregiving is there to support your family and healthcare team. Nellie’s Heart Caregiving is there to support your family and healthcare team when transitioning your loved one to home care from a hospital or rehabilitation center. Transferring ­- Whether assisting a family member or medical professional, our staff is there to lend a caring, experienced hand in transporting your loved one from any facility to back to their home. Assistance with Devices ­- Seniors with ambulation issues may be provided with a wheelchair, walker or cane upon returning home. We are there to make sure these devices are used properly and safely. Positioning -­ Bedridden patients are at risk for developing bedsores. We turn and reposition them every two hours to prevent this from occurring, and will make sure linens are clean. Walking ­- Whether it’s around the house or around the block, our caregivers are there every step of the way. Assistance with Therapy Appointments -­ We will work with your loved one’s physical therapist by attending and assisting at appointments, as well as making sure home exercises are performed.